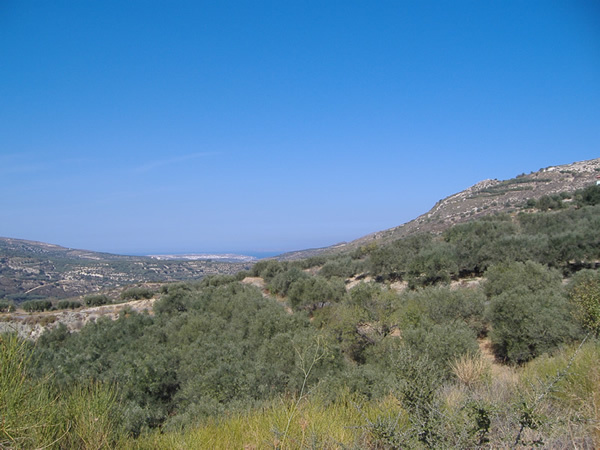 Our organically farmed olive groves lie in the renowned Sitia area of East Crete at the mountain village of Saint Spiridon (Agios Spiridona). 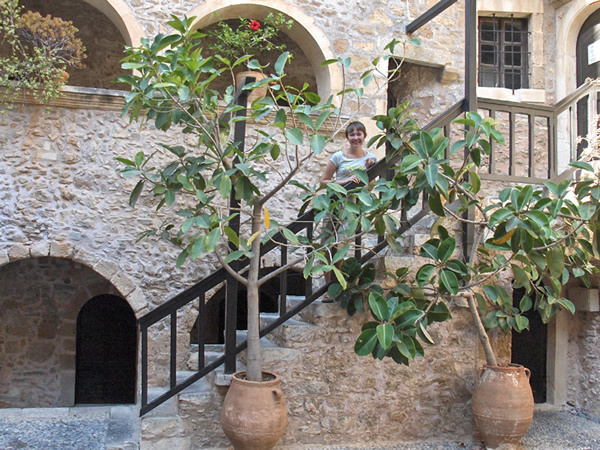 Olive oil from Crete forms the basis of the renowned Cretan diet which is often cited by nutrition experts and medical researchers as the secret of a long and healthy life. Certainly it is common to see olive farmers here in their 80's and older still tending their groves and harvesting their beloved trees. Our oil is Single Estate, not blended or adulterated, preserving the unique quality, flavour and character of organically grown Koroneiki olives. It is pressed without being mixed with the oil of farmers that still use insecticides and herbicides. When just pressed it is cloudy and bright green, clearing after a month or so. We particularly enjoy it when still cloudy, but adore the oil at all times and with all foods. The oil we sell is the same oil our family and friends eat at table. It is amazing drizzled on toasted bread for breakfast (with a little sea salt), with salads and fish it is truly sublime, and it can be splashed on barbecued pork and lamb with a little lime or lemon juice with stunning effect . 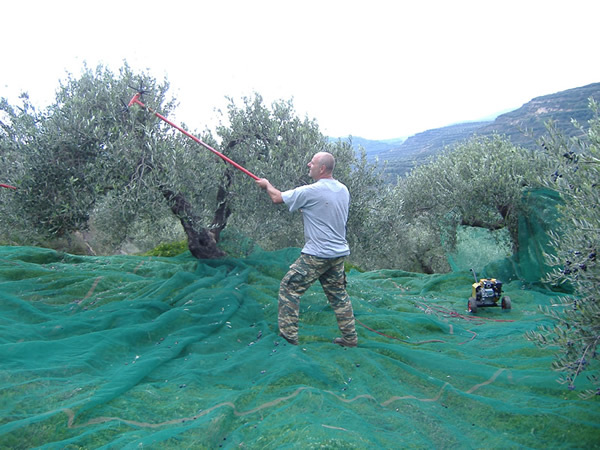 How to become an olive farmer! 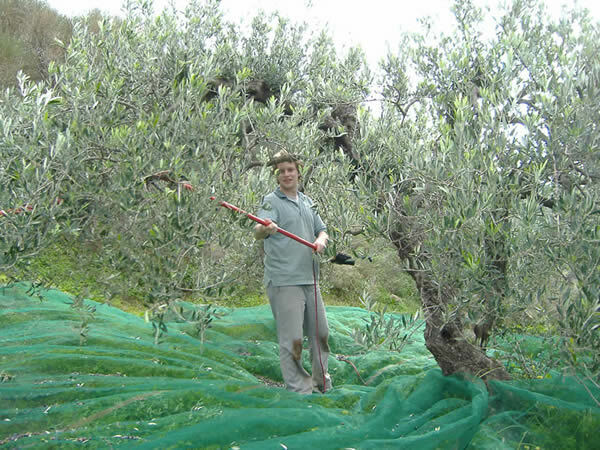 Read our blog about how we escaped from the bad weather and fear culture of rip off Britain and ended up in East Crete as organic olive farmers. Or how to get a bad back, stiff fingers, and a great deal of pride and satisfaction. Read the blog and discover what's really involved. 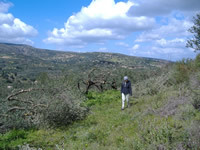 Copyright © 2007 Organic Sitia Olive Oil. All rights reserved.